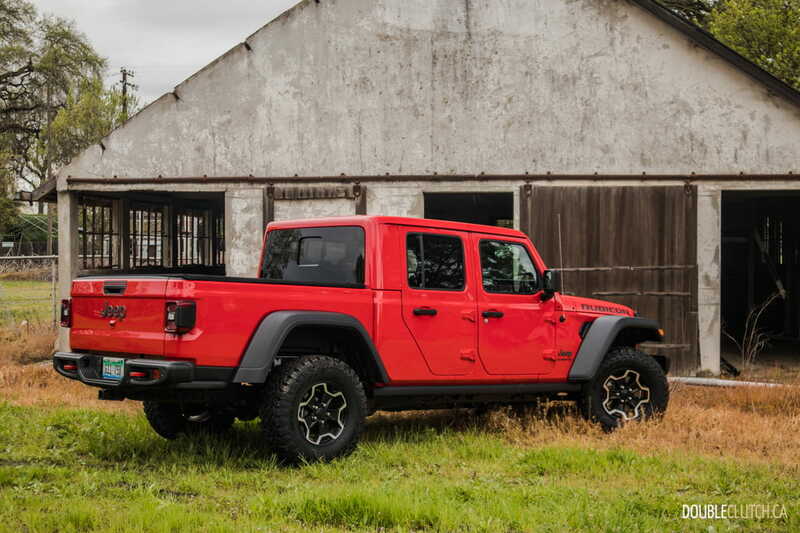 SACRAMENTO, CALIFORNIA – This is the all-new 2020 Jeep Gladiator, and it’s inarguably one of this year’s most anticipated vehicles. 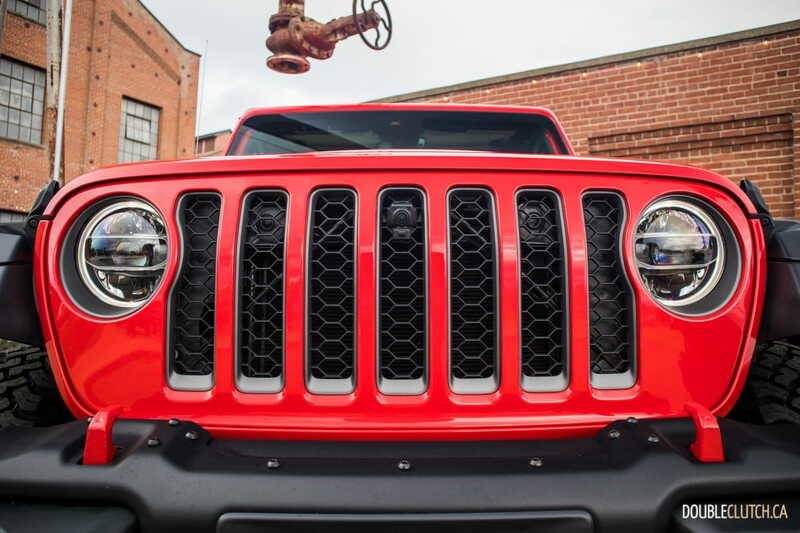 The Jeep community is a determined one, and this is a product that was primarily created in response to repeated requests from the passionate and loyal followers of the brand. 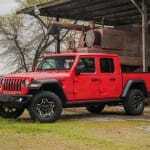 The Gladiator takes on the Wrangler’s iconic, instantly recognizable styling and adds a five-foot pickup truck bed. It’s not quite that simple though, because making a good mid-size truck is much harder than it seems. 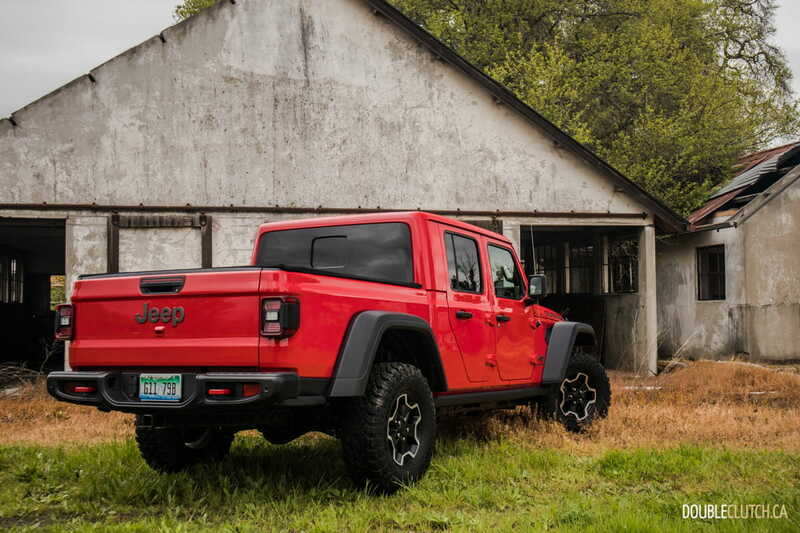 Jeep invited us to Sacramento, California to prove that while the Gladiator is very much a lifestyle product, it remains extremely capable and is worthy of its name. 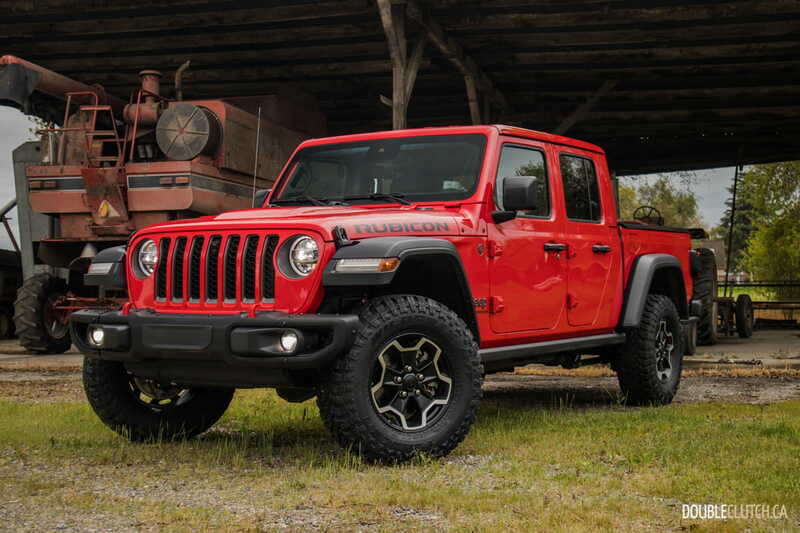 Like the Wrangler, the Gladiator will be sold to Canadians in a variety of trim levels topping out at the trail-crushing Rubicon. 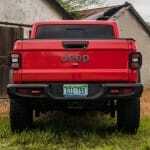 One of the most unique traits of this truck is that it’s the only convertible pick-up truck on the market right now. Remember the Chevrolet SSR? Yeah, this is nothing like that. A soft convertible top is available, as well as an optional Freedom Top hardtop, with removable panels. 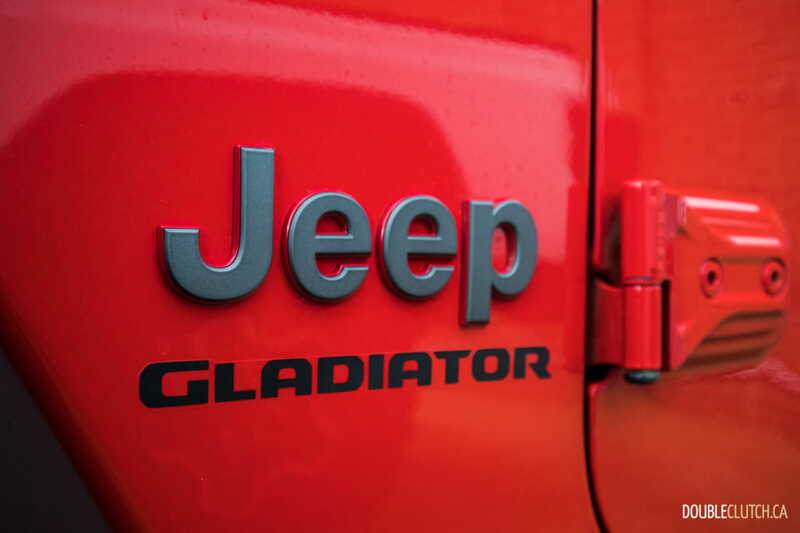 Additionally, the Gladiator’s doors can be removed using basic hand tools included with the vehicle. Lastly, if you so desire, the windshield can also fold flat against the hood for a true safari-like adventure. 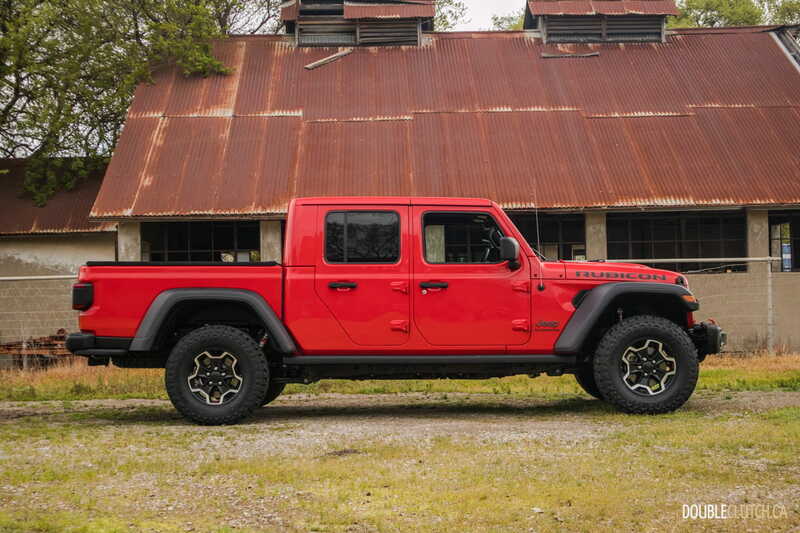 The platform of the Gladiator is a lot more than just a truck bed slapped onto the Wrangler (reviewed here). 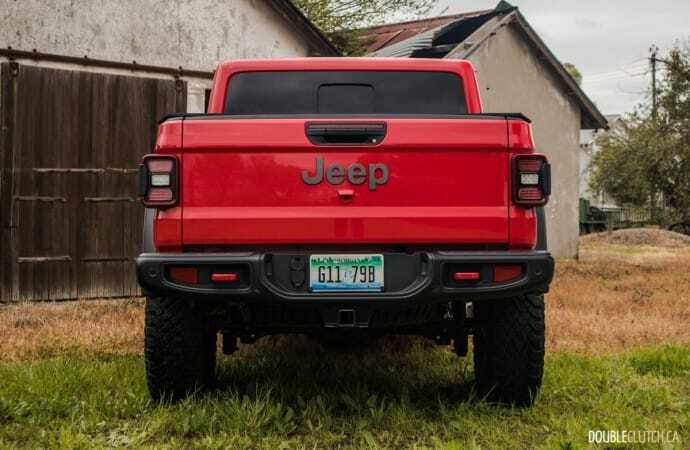 It’s still a body-on-frame setup using high-strength steel, but it’s more than three feet longer than a Wrangler Unlimited. Out of this added length, 19 inches goes into the wheelbase. It has a steel box, but other components like the windshield, doors, and fenders are all made of aluminum to ensure weight savings. 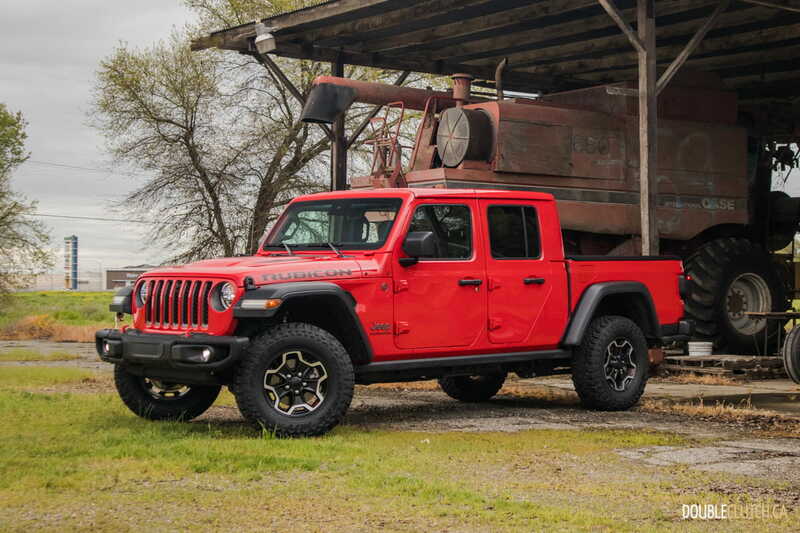 When comparably equipped, the Gladiator weighs approximately 500 pounds more than the Wrangler. 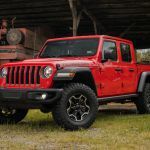 Jeep offers multiple powertrains on the Wrangler, but at the time of launch, the Gladiator makes do with the 3.6L Pentastar V6 that is likely the best-suited option for this beast. In this application, output is 285 horsepower and 260 lb-ft. of torque, which is more than acceptable. The V6 moves with authority, and is available with a six-speed manual and an optional eight-speed automatic. 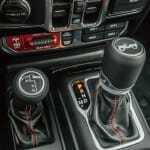 Unlike the previous JK Wrangler, the stick is a lot more engaging and less tedious to drive – we would opt for three pedals in this case. 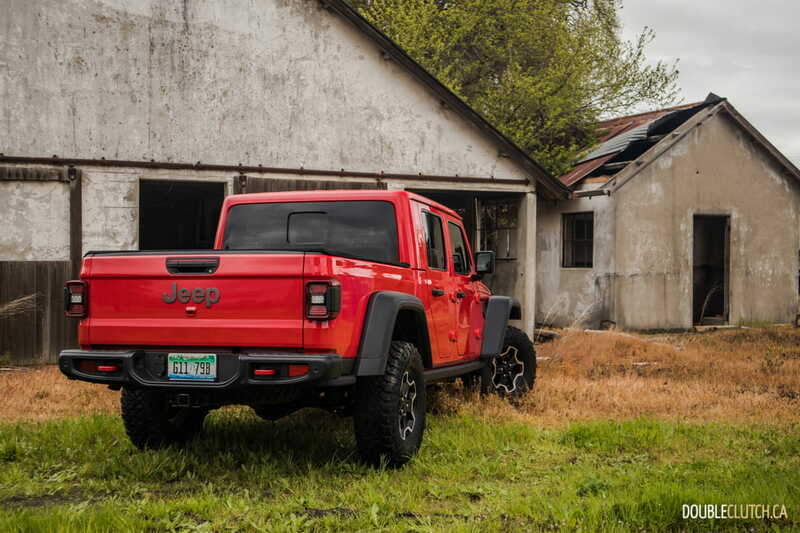 It’s decent enough to drive on-road, and about as good as it can get for a body-on-frame layout, but where the Gladiator really shows its Jeep roots is at the end of the beaten path. 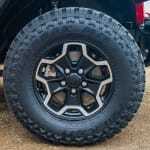 4×4 is standard on all models along with Dana 44 AdvanTEK axles, but Rubicon models get electronic front and rear locking diffs, along with a Rock-Trac transfer case. 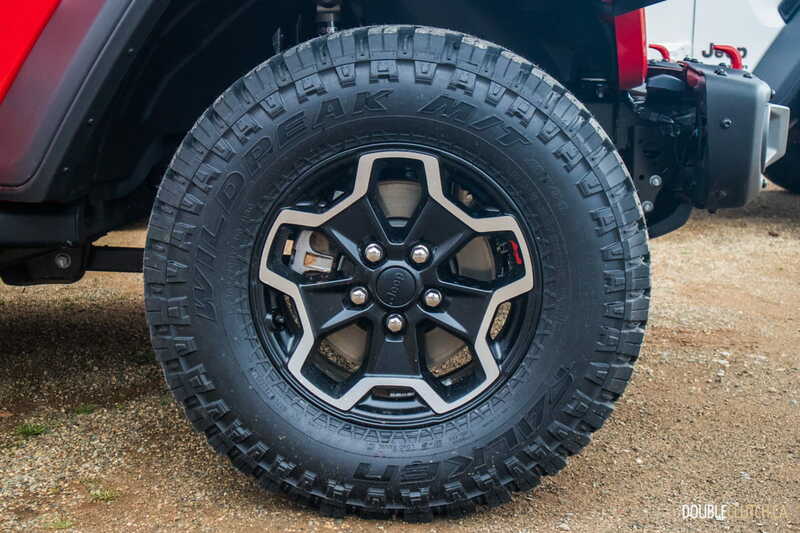 Lower trims get open diffs as standard equipment and a Trac-Lok anti-spin rear differential available as an option. 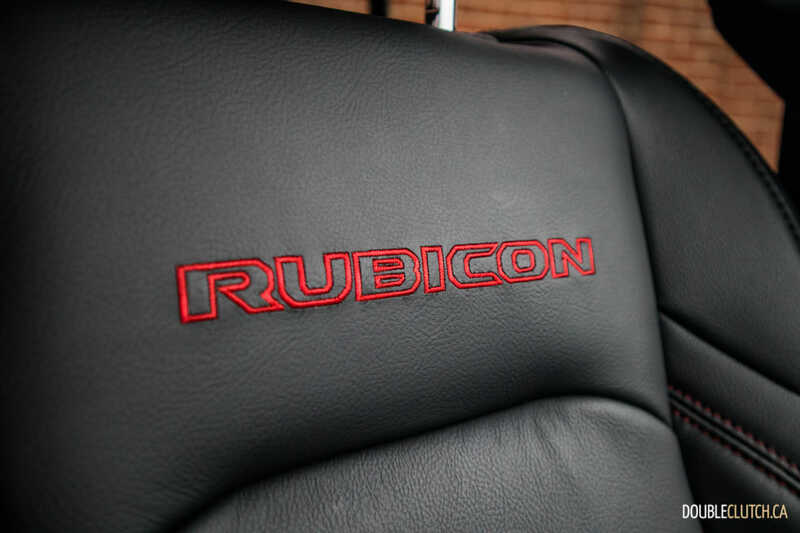 Rubicon models also get a disconnecting front sway bar, wide track axles, and 33” all-terrain tires. Long story short – the Gladiator is definitely “Trail Rated”, and ready to hit anything the typical owner is likely to throw at it. 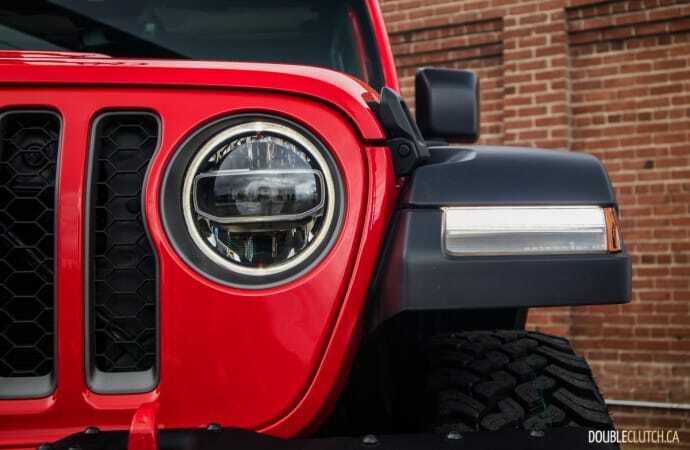 Those who are new to off-roading and even experienced mudders will appreciate the new TrailCam off-road camera (optional) mounted in the grille that provides a better vantage point for obstacles that are hard to see over the hood. 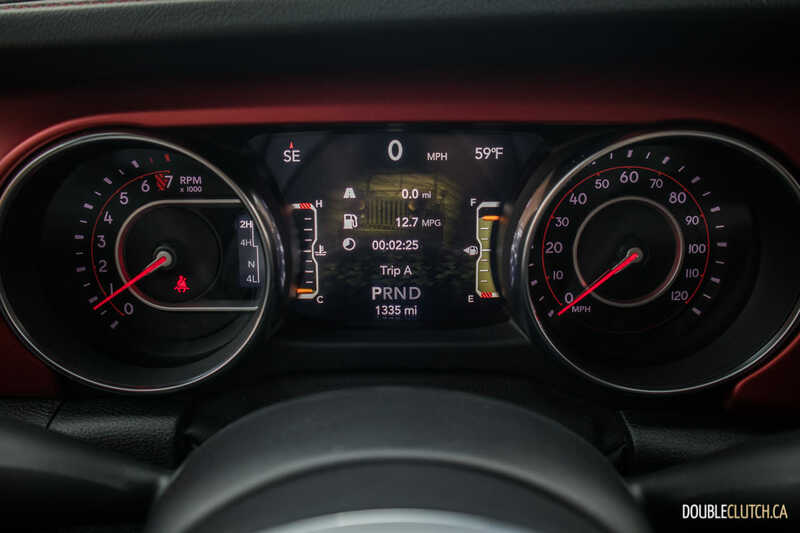 We had the chance to test the Gladiator on the gnarliest off-road course I’ve ever been on, seeing a pitch of up to 33 degrees indicated on the display, and the truck handled it like a champ. Ground clearance is over 11 inches, nearly an entire foot, and this can allow the Gladiator to traverse water that’s up to 30 inches deep. 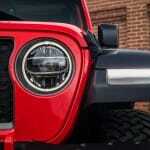 Jeep claims an approach angle of 43.6 degrees on the Rubicon model, and a departure angle of 26 degrees. Departure is down a little bit from the Wrangler Unlimited, but naturally, compromises need to be made somewhere in order to modify this platform for the truck bed. 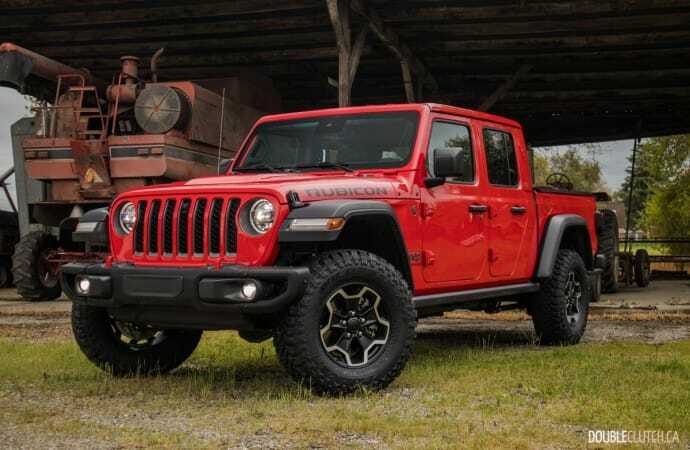 A five-foot box is smaller than most of the bigger offerings, but Jeep insists it will be enough for most buyers and their adventures – it also has a 1,600 pound payload capacity. Want to tow? 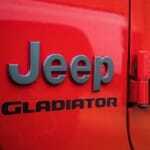 This should be no problem, because when properly equipped, the Gladiator will tow up to 7,650 pounds. 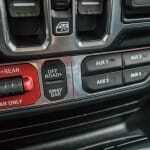 Jeep has placed D-rings to hold things down, and they also offer an optional 115V power outlet. 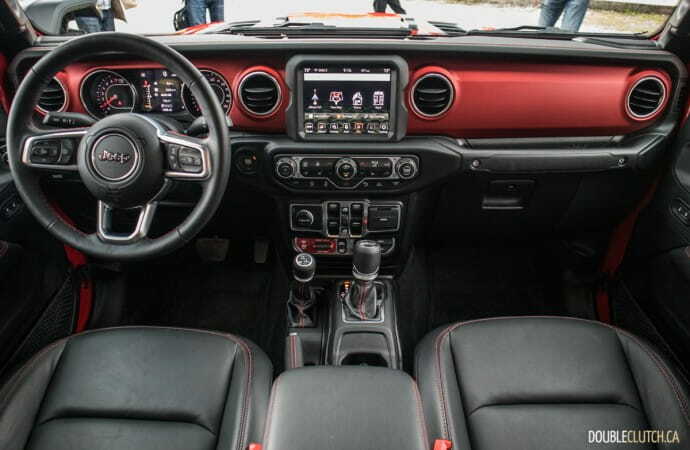 The Gladiator’s interior is right out of the current JL Wrangler, and that’s an excellent thing. 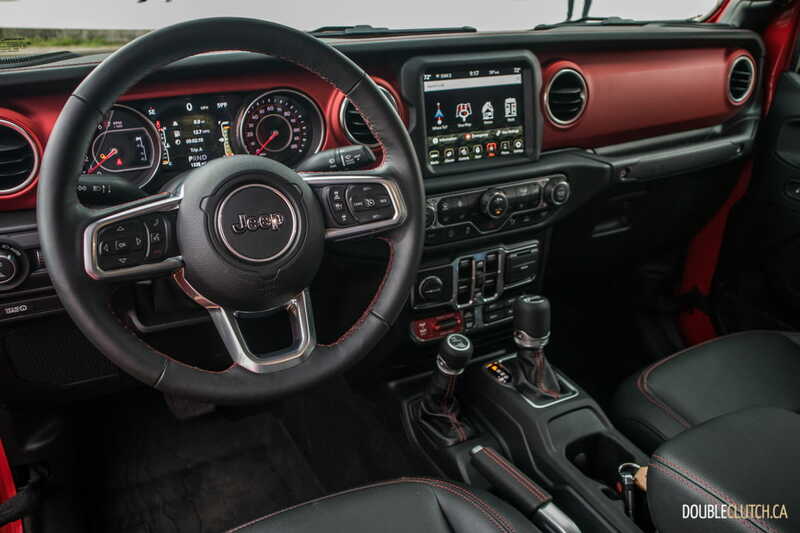 This interior is extremely user-friendly and feels sufficiently premium, while ensuring materials are durable and rugged enough to sustain the harsh life that many Jeep owners will put their trucks through. Panel gaps are tight, and while there are plastics visible throughout the cab, all of the buttons are clearly marked and major controls are mostly where they belong. Premium options include leather seating, navigation, and more. 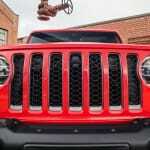 More importantly, Jeep has not omitted the active safety nannies that have become commonplace. Available features include blind spot monitoring, rear park assist, forward collision warning and adaptive cruise control. Staying true to the old-school reputation of the vehicle though, auto-braking and lane-keeping assistance are not available. Most buyers won’t care, because the personality of this vehicle is very minimalist, despite the vast array of features that the Gladiator comes with. 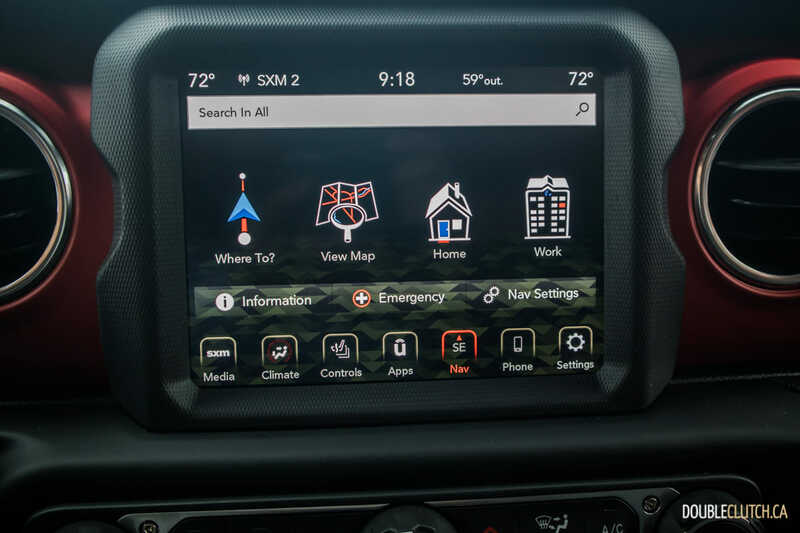 Jeep’s Uconnect infotainment is a staple throughout the FCA lineup, and it’s easily the best mainstream application around right now. 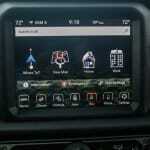 It now supports Apple CarPlay and Android Auto, and the native system is also easy to use and responds quickly. The Gladiator is also spacious inside for front occupants, with a plethora of headroom for even the tallest drivers. 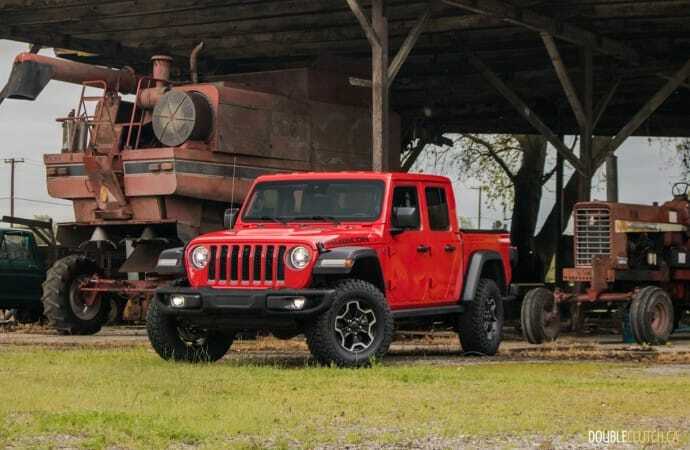 Rear passengers will find compromised legroom when comparing to the Wrangler Unlimited, and the shortened rear doors make entry and exit a little bit more difficult. Canadian pricing for the Gladiator starts at $45,495 for the Sport S, which comes standard with things like 4×4, rear-view camera, 17” aluminum wheels, two-s-peed transfer case, and more. Upgrading to the $49,495 Overland adds a more premium interior including 18” wheels, Apple CarPlay/Android Auto, body-colour accents, and three-piece hardtop. 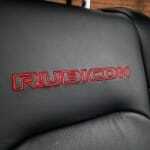 Finally, the top dog Rubicon starts at $52,496 and includes all of the off-road goodies and more. 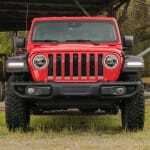 The Gladiator’s pricing at each trim level is exactly $2,500 more than a comparable Wrangler. 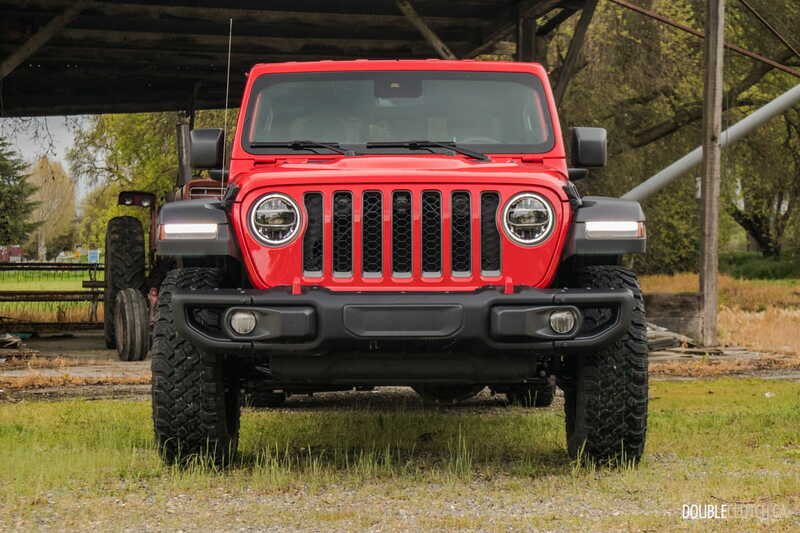 When the JL Wrangler was introduced last year, we immediately observed a significant gain in fuel efficiency, a huge weakness of its predecessor. The better-tuned engine and eight-speed automatic’s gearing worked wonders. The Gladiator with the automatic is rated for 13.7L/100km in the city, 10.7L/100km on the highway, and a combined 12.3L/100km. 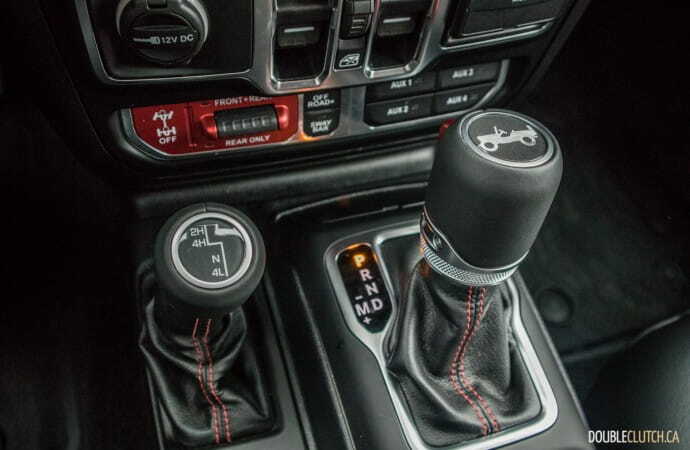 Manual models are expected to hit 14.3L/100km city, 10.4L/100km highway and 12.6L/100km combined. Our test consisted of spirited driving as well as some off-road use, so check back for a full weeklong road test with real-world fuel economy results later in the spring. The 2020 Jeep Gladiator is by far one of the most interesting new vehicles available today. 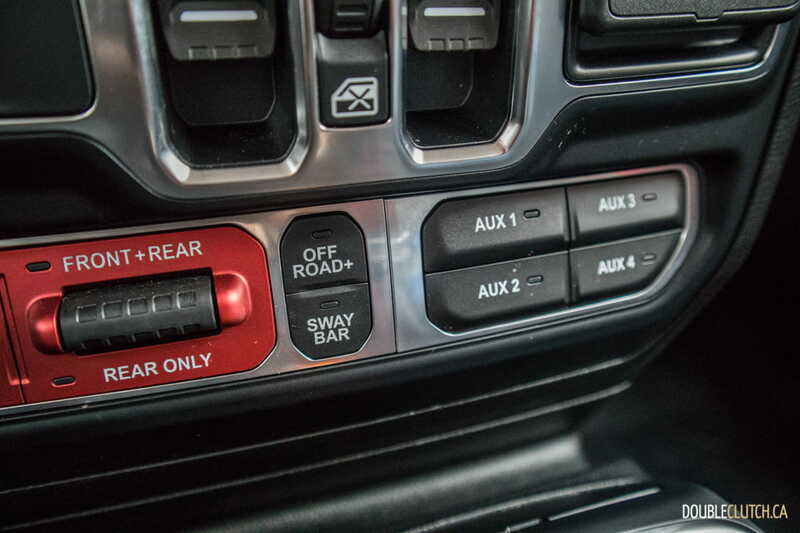 While we’re seeing more and more crossovers filled with new safety features flooding the market, it’s a real refresher to see a back-to-basics approach that is heavily style and capability-focused. 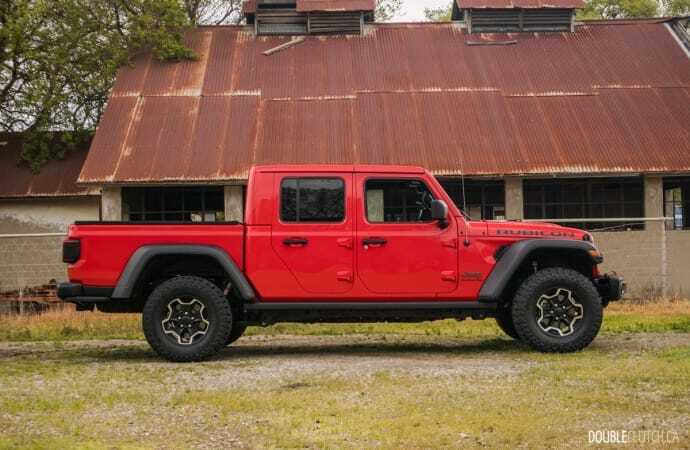 Jeep claims that we will be seeing a V6 turbodiesel version of the Gladiator coming down the pipeline sometime next year, and it’s one we can’t wait to drive. For now though, the Gladiator should be hot enough to fly off showroom floors effortlessly – it’s really, really good.